CosmoBC.com » HomeBlog » Maintenance » How Do Plumbers Deal With Drain Blocks And Pipe Clogs? Clogs and blocks in drain must be taken seriously, else your property may get damaged in some way, and you also may get into a mess and harassment from the consequences of the blockage. If you are a property owner at some urban style house or apartment, which is in a new and good condition, then you will probably have no idea of what a plumbing block is. Naturally, in that case, you will have a minimum idea of how the clogs or blocks can lead to harassment, and how you should deal with it. But with time, as the pipelines and drains get more and more used, and things which should ideally not get passed through drains get passed, you experience a sudden block one day. And when you do, you have to find solutions too. Boil a kettle full of water. And then pour it down the drain. Now pour a half cup of baking soda down the drain. And wait for a few minutes. Now you will have to mix a cup of vinegar with a cup of steaming hot water. And then pour this mixture down the drain. Stay ready with a drain plug while pouring the vinegar water, because the reaction will start immediately, and you must plug the drain to keep the bubbles under the plug. It takes some 10 minutes to clean the drain and remove blocks. After 10 minutes you should pour another kettle full of hot water down the drain to clear it all. This method works fine in case of simple blocks in the drain, which didn’t form a tough mass. However, situations turn serious when the drain is completely blocked, no water can pass through, and you can sense that the clog is tough. Even after applying this vinegar and baking soda fixture, when things do not clear up, you need to call a plumber. When you have to call a plumber? Some situations will warn you about blocks and clogs in the drain well ahead. By studying them consciously, you may know well ahead of time that you will likely get a bad drain clog in the coming days. To read the signs observe for a gurgling sound when fluid passes through the drain. Whenever water is poured if there is a gurgling noise, this indicates a clog somewhere around which the accumulated air barrier is removed by the liquid, thereby generating such a noise. Another sign is slow water passage. This also is a common sign often observed. Water passes really slowly through the drain, and it takes quite a lot of time. This also indicates a partial block. These are the times to take timely action. If you have to apply any home remedies or the plunger, then you should do that by this time. Else when it’s too late, then it’s wise and smart to call a plumber instead of wasting time and labor on things you don’t know well. Remember, that when you know well what to do and where the block is, then you may damage the drain and internal pipelines accidentally, or bring damage for your health or the property. How can a plumber help with clogs and blogs? A plumber is a right person to help with clogs and blocks in drains, pipes, and toilets, etc. They have special tools and equipment to treat drain and pipe blocks. And with equipment like a hydro jet, plumbing snake, and camera for pipes, they can inspect things, plan solutions, and implement in no time to give you block free drains, toilets, pipes, etc. These are the special tools which neither you can have at home, nor you may run or operate without professional help. For this, you need the service of an expert plumber only. Hydro-jets are machines which emit out water with great force. Hydro means water and jet refers to the high speed and force of the water. The high-speed water jet gushing out of the nozzle can clear off any obstruction in a drain or pipe, or toilet. That is why plumbers use hydro jets for cleaning block and clogs. The hydro jet is aimed at the clog. For this, the plumber first detects the location of the clog with a plumbing pipe that is flexible and contains camera fitted on it. This camera fitted pipe is passed on through the blocked drain or pipe till the block is detected. The plumber by the location of the block then targets the hydro jet at it. And in this way, even the toughest of blocks created of grease, dirt, hair, etc. can get cleaned in no time. A GM Plumbing Corporation Hydro Jet is the best solution for clogs. The toughest of clogs made of the most resistant materials can be fought off and cleaned with hydro jets. The high-pressure water once directed on the block breaks and pushed off the clog in no time. And thus this is the most used, and most successful technique proven again and again in plumbing. However, you as the novice cannot take the risk of operating hydro jet on your own, and should never try. You need skilled hands for this, and this is only handled best by plumbers. There are times when plumbers cannot use a hydro jet. If the building is old, and accordingly the water pipelines are old too, then a hydro jet cannot be applied there. If applied the pressure or jet of water can even break soft and old brittle pipes. Hence this technique can be applied only on well-maintained good conditioned pipelines. 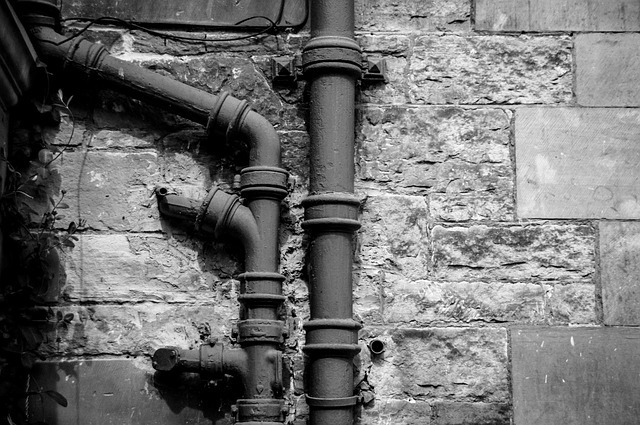 In old buildings where hydro jets cannot be used on speculating the pipelines and drains, the plumbers choose to plumbing snakes there. This is an alternative to hydro jets only for old and brittle pipelines. Plumbing snakes are a great alternative to hydro jets when the pipes and drains this is applied on are structurally weak. A plumbing snake consists of a narrow tube. And this tube is hollow, and inside this tube, there is a cable. On one side of the cable, there is an auger or blade for cutting through the clog on detection. Another side of the cable contains a crank to handle it, give it direction, and operate the auger. A straight plumbing snake is for straight lined pipelines and sinks. A J shaped tube is used for toilets. The plumbing snake is inserted into the pipeline. Where the block is detected, where the crank is operated to make the auger break through the block by piercing a hole through it. But due to the auger being small and narrow for passing through all sized pipes, the hole pierced also is not much big, and rather narrow. Hence, although the block is broken, yet the pipe cannot be cleared fully inside, and passage of water is slower through it. Hydro-jets are popular in clearing blocks and clogs, and they offer a guaranteed complete solution for being the most powerful tool in plumbing for block clearing and drain clearing. Also, being chemical free, and because of using only water it’s totally safe and eco-friendly. When you are giving a call to a plumber in case of a blocked drain or pipe, you must first ask the person if he has the equipment needed for clearing this. A camera fitted cable, and a hydro-jet is a must for such jobs. Also, the plumber must keep a plumbing snake with him for the alternative way. If the plumber is not well equipped, then the service call may be a waste of time and money. You must explain the situation well to the plumber for the most timely and effective solution. A plumbing emergency arising with a blocked drain, toilet, sink or pipe can be a big problem if not treated well on time. Sewage water reversal from blocked pipes is a great threat to hygiene, health, and cleanliness. The bad odor emitting from foul sewage water pooling on a bathroom floor, or kitchen sink, toilet, or any other outlet drain can just not be disturbing to smell, and sight, but will also affect the floor or tiles, the adjoining walls, and the overall quality and environment of the place there. The structural strength of a place also goes weak with constantly pooling water there. Hence, you must make sure that if you are facing any such problem, you get instant plumbing help for that.